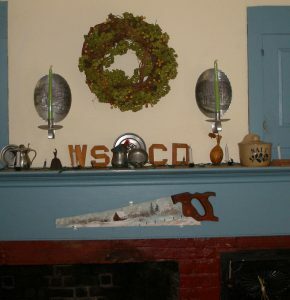 My grandfather’s childhood wooden alphabet letters stand on my kitchen fireplace mantel, designating the four families in my “family thicket” who have lived in this house since its construction in 1789: Williams, Saunders, Church, and Doerr. Researching our ancestors is one thing, researching house histories is another, but often they are irrevocably intertwined. Researching the life and family of Asa Williams, the cordwainer, tanner, blacksmith, and farmer who built My Old House, means that I also research the house itself. Through vital records, census records, and local histories combined with deeds and probate records, I have tried to find the stories, from Asa’s purchase of the land in 1777 to the shoe last which fell out of my ceiling. Let’s begin the begats: the nine children born to Asa and Eunice Fisher Williams – Lusanna (Susanna, 1785), Eunice (1787), Sally (Sarah, 1788), Ruth (1790), Avice (Avis, 1792), Asa (1795), Elizabeth (Betsy, 1798), Susan (Sukey, 1801), and Vesta (1804) – were all born in Maine, the two eldest mostly likely at their uncle Seth Williams’ house nearby or in the “temporary” log cabin used until the frame house was completed. 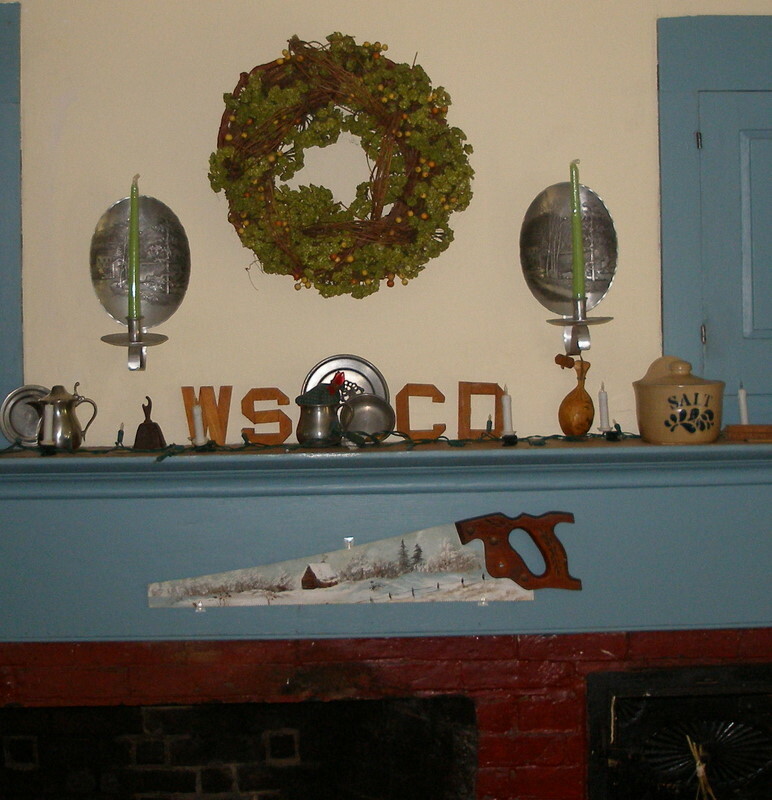 The large family lived in the small space of the original half-cape house with its extra-wide pine floors, wainscoting, and oak timbers, but at least Asa’s family lived indoors without livestock (if also without indoor plumbing). Asa also built a large barn, carriage houses, a forge, and – of course – outhouses (plural). The English-style faceted ridgepole and the spiral chimneys speak to his building techniques if not his loyalties: he was a staunch Patriot who served in the Revolutionary War as a private in Capt. Samuel White’s Co., Col. Thomas Carpenter’s regiment. Remarkably, these siblings, most born with the help and skill of Midwife Martha Ballard (who was sometimes paid in cheese), all lived to adulthood. Lusanna and Sally married brothers Jonathan and Scotto Hedge, who would become prominent citizens of the area. The second eldest daughter, Eunice, died in 1829, apparently unmarried. Elizabeth married Charles Hamlen, town selectman, assessor, and alderman. Their son, Charles Edward Hamlin, became a graduate of and professor of chemistry and natural history at Waterville College (now Colby College). Elizabeth’s sister Susan married Lewis B. Hamlen, Charles’ first cousin. Vesta married Nehemiah Flagg, a tradesman who ran a line of packets (small cargo ships) between Augusta and Boston. Good matches for a man with eight daughters! These are deep roots, tangled, intertwined, tough, and long. Asa, Jr., lone son in that family of girls, married Ruth Hovey and became a prosperous tanner, farmer, and blacksmith who stayed in this house until his death in 1857. The chain of title then developed as his son, another Asa, sold the property to his cousin Charles Saunders who passed it to his son Manley. Manley married Lora Packard, the cousin who deeded the property to my parents. All the owners of My Old House are themselves cousins; they are in other ways related to the family of my great-great-great-great-grandfather George Read, whose house is next door. 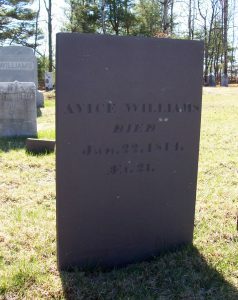 (Eunice Williams and Experience Read were stepsisters and third cousins). These are deep roots, tangled, intertwined, tough, and long. The cold, dry years preceding 1816, the Year Without A Summer, brought more than snow and cold to the Williams household. 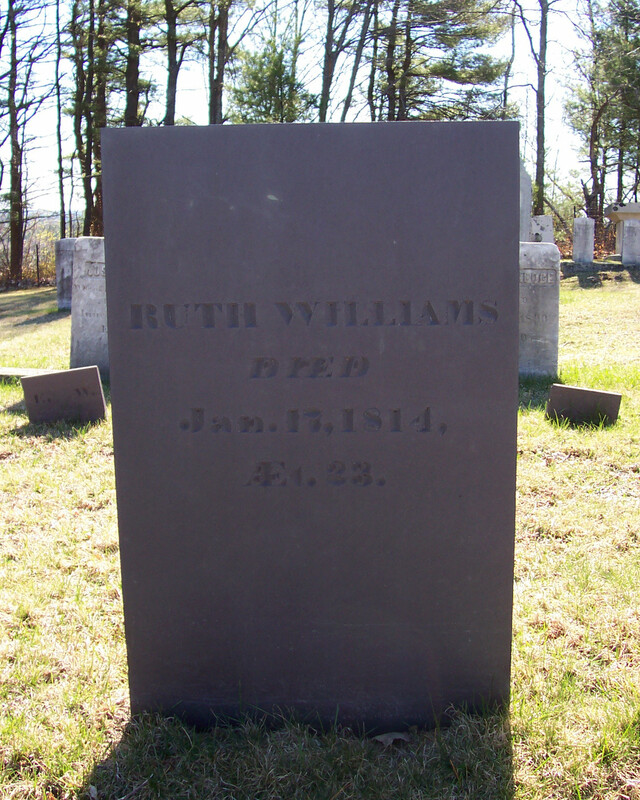 On 17 January 1814, Ruth Williams died; five days later her sister Avis joined her. The warmth and solidity of the house couldn’t keep out disease. They all now rest in the family plot a few hundred yards away from their home. But the unspoken, practical question is this: in that Maine January, when the ground was frozen solid and covered in snow and ice, with no mausoleums, tombs, crypts, or other above-ground facilities available, what did they do with the bodies? Just sayin’ . . . the root cellar, perhaps? Are your various Hamlin/Hamlen relatives related to Hannibal, Lincoln’s vice president? I was intrigued to discover a distant cousin relationship to him a few years ago. It’s always fun to see what secrets are hidden in those old family lines. I agree, Walter, finding those secrets is fun. Sadly, I have yet to find a relationship between these Hamlens/Hamlins and Hannibal Hamlin. Great story, Jan. Do you have a picture of the outside of the house? Hi Sharon, if you look at my older post “Your Questions Answered” you’ll see pictures of the outside of the house at different times. It still looks that way (just better! ), and is the oldest unaltered residence in Augusta. The house that I grew up in belonged in my mom’s family before my paternal grandparents bought the property for my parents when they got married. My great grand uncle and his wife had the house built in the early 1900’s and then moved to California for health reasons. Shortly after his death his wife sold it to my grand parents. I heard one story that my mom told me that her aunt came to visit and was disappointed that my dad had done some renovations that she didn’t like. The house still stands with a family friend living there and I drive by it every once in awhile. My mom had planted lilac bushes in the front yard and they are still there. Do you have the complete set of your grandfather’s alphabet? I’d love a picture. It would make a great woodworking project. Hi Michael – I’ll have to check on that. Stay tuned!